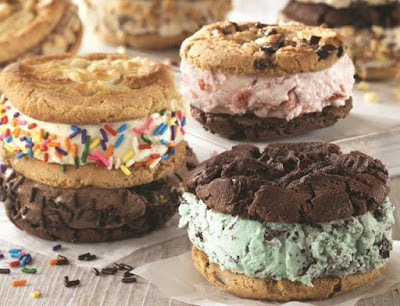 Baskin-Robbins hopes to help you celebrate National Ice Cream Sandwich Day on August 2, 2017 with a deal where you can get a single-scoop Warm Cookie Ice Cream Sandwich for $1.99 with a coupon from their mobile app. The coupon is good through Sunday, August 6, 2017, which gives you a little more time to celebrate. The Warm Cookie Ice Cream Sandwich features a scoop of ice cream or your choice sandwiched between a choice of two warmed-to-order, chewy cookies, topped with rainbow sprinkles, chocolate sprinkles, or chopped almonds. It normally goes for $3.49 (may vary).